MSRP $135,710.00! 60k Service complete! 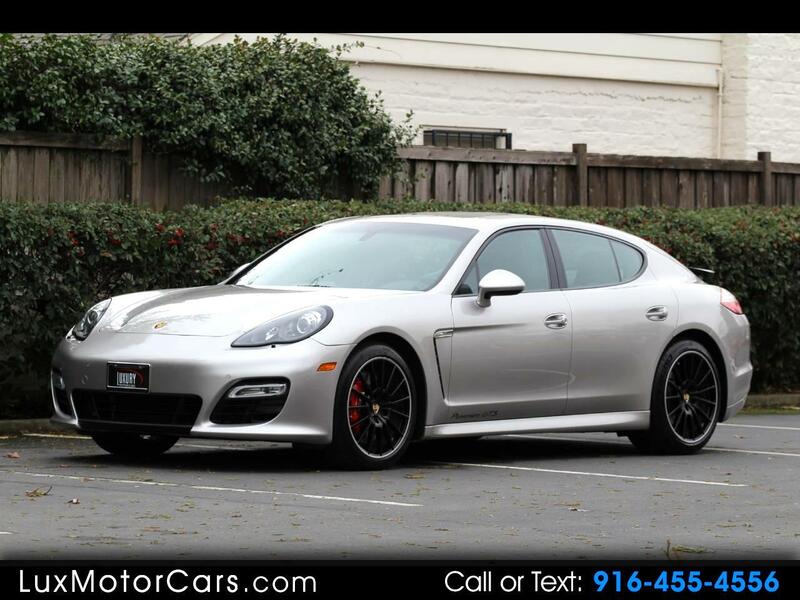 Luxury Motorcars is offering a stunning 2013 Porsche Panamera GTS for sale. Finished in Platinum Silver Metallic over Black. Miles are 64k. These cars are becoming very hard to find. This one is very well equipped. Additional equipment includes: Heated seats Front and Rear, Lane Change/ Blind Spot assist, Model designation on the Door, Standard Side Skirts Painted, Porsche Entry and Drive, Park Assist with Rear View Camera, Servotronic, Bose Surround Sound, Sat Reciever XM, PDCC w/Torque Vectoring, LED Extended Interior Lighting Package, Rear Apron painted, GTS Interior Package-GT Silver, 20" Panamera Sport Wheels in Black, Door Sills in Carbon Fiber. Nobody does a 4 door sports sedan like Porsche. The snarl of the V8 is pure Porsche. Shifts come effortlessly due to the Porsche's perfection of the PDK gearbox. Grab your party of four and you are treated to one heck of a intoxicating night out. Or pack up the ski's or golf clubs and you won't suffer for room for the family. This Panamera just came off of a 60k service along with an accident free Carfax you are ready for that next road trip!